When looking at a map, multiple lines and colors collage to form one cohesive image. It is as if a map becomes a new patterned textile; a textile of vibrantly colored silk and cotton infused with rich culture. 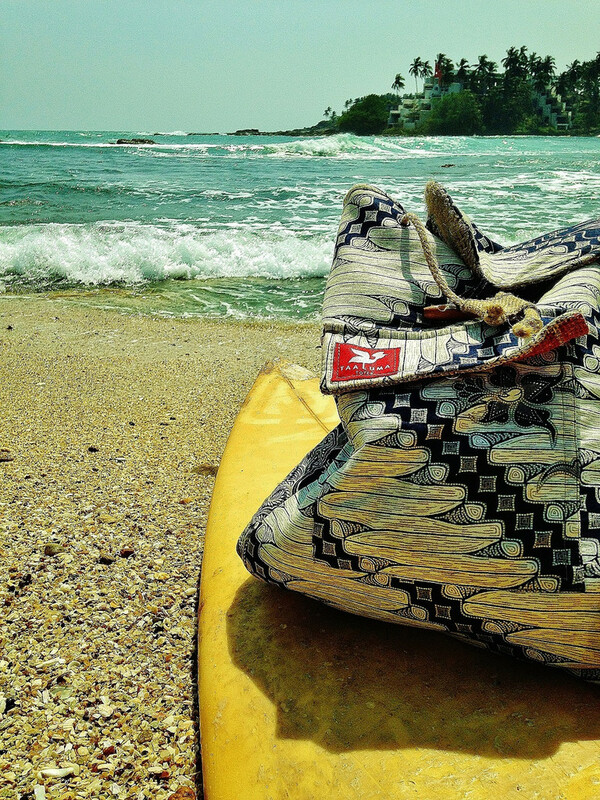 This idea is the inspiration for Alley Heffern and Jack DuFour, the founders of Taaluma Totes. Heffern and DuFour traveled to Uganda and were strongly influenced by the lively culture. Soon after, they formed a business plan that would connect people all around the world. They formed what would become a thriving business called Taaluma Totes. 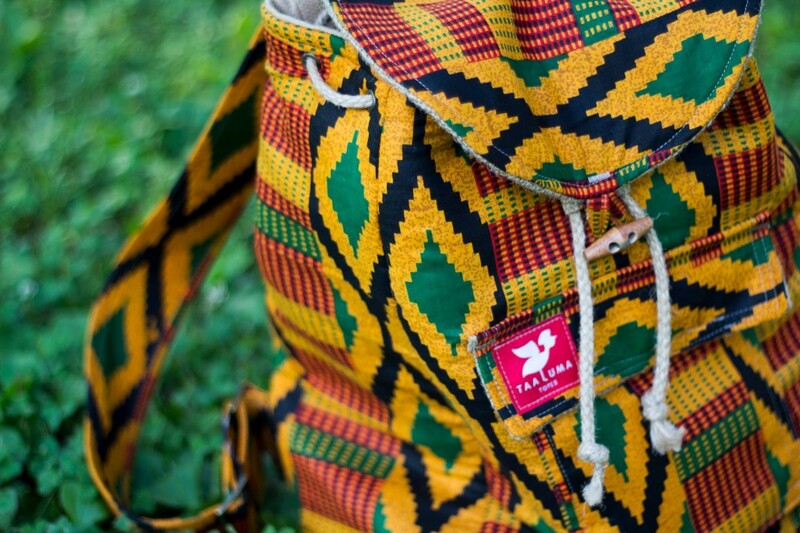 Their company creates versatile backpacks for an amazing cause. Each backpack is constructed with beautiful silk and cotton from different countries, each with a unique pattern and color. 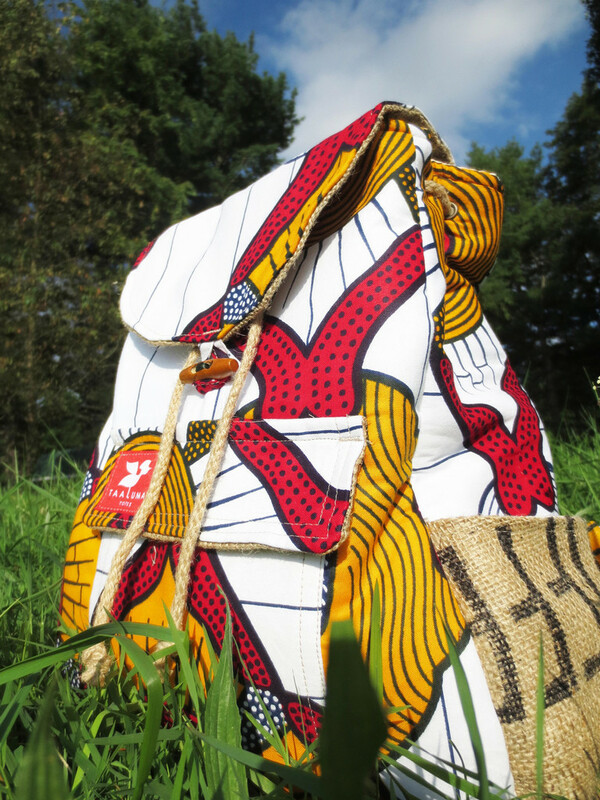 When Herrern and DuFour started, they only made totes using fabrics representing Ghana, Indonesia, and Uganda. Now the company has expanded to include countries such as Mali, Thailand, Vietnam, Ivory Coast, and India. Burlap is also sewn in as a lining interior from recycled coffee bags making each tote one-of-a-kind. Often the traditional fabrics change, emphasizing the authenticity of each Taaluma tote; they are all made to represent a different nation. When you buy one of their products, 20% of that money is donated to a person in need from where the fabric originated. If that wasn’t enough, Taaluma Totes employs adults with disabilities to construct the backpacks in the United States. Once finished, these backpacks are shipped to the new lucky owners. Taaluma Totes is yet another great business rising into the category of sustainability. The business offers grand and fulfilling opportunities for all the communities involved. Their products really help connect people around the world, encouraging diversity and recognition of different cultures. Thanks for sharing your post. Tote is an important part of our life. I like backpack bag for travelling.